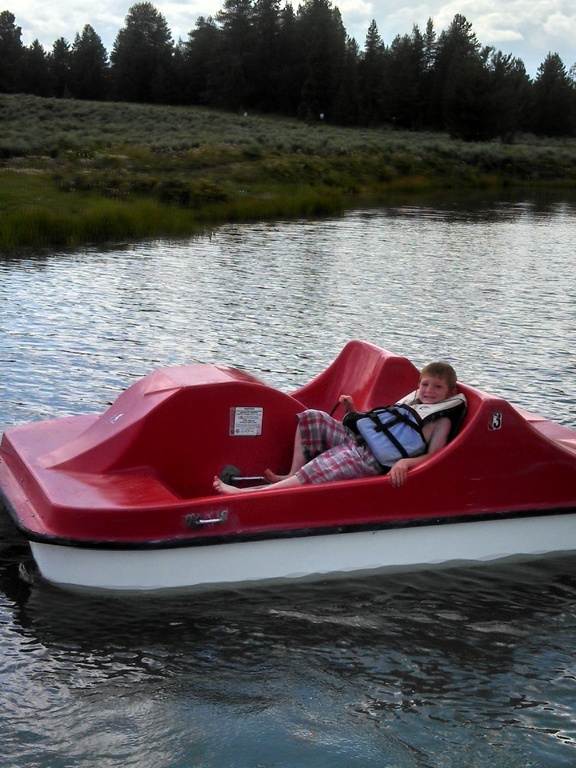 You'll be amazed at all the fun things you can do at Eagle Ridge Ranch! Don't forget to bring a swimsuit and towel with you because you won't want to miss out on the rope swing and water trampoline! 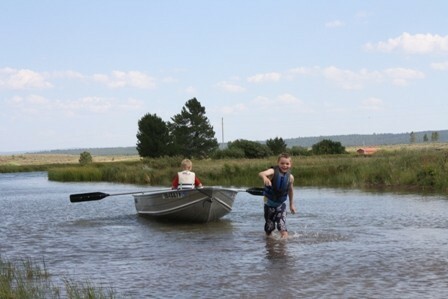 What's better than fishing and riding horses on the same day? Having them both available at the same location! 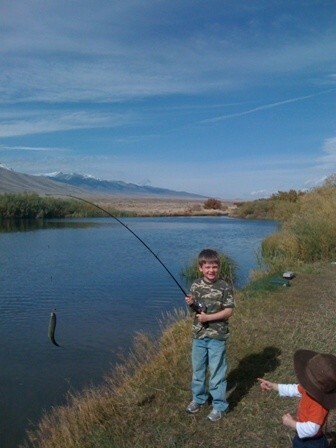 Spend part of your day riding horses at the ranch and the other half fishing for free! 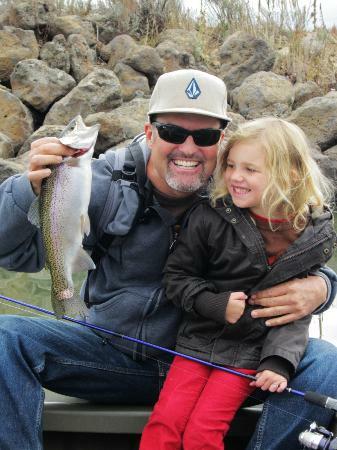 The fishing is catch and release, and you can use a rod or a reel (ask about our loaner poles if you don't have your own). 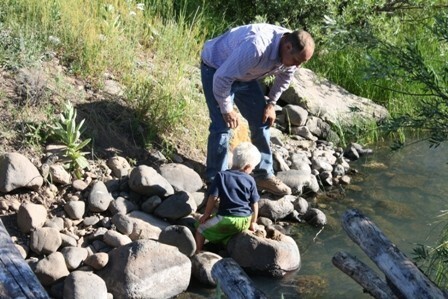 The best part about fishing on the ranch is that no fishing license is required on our private property! 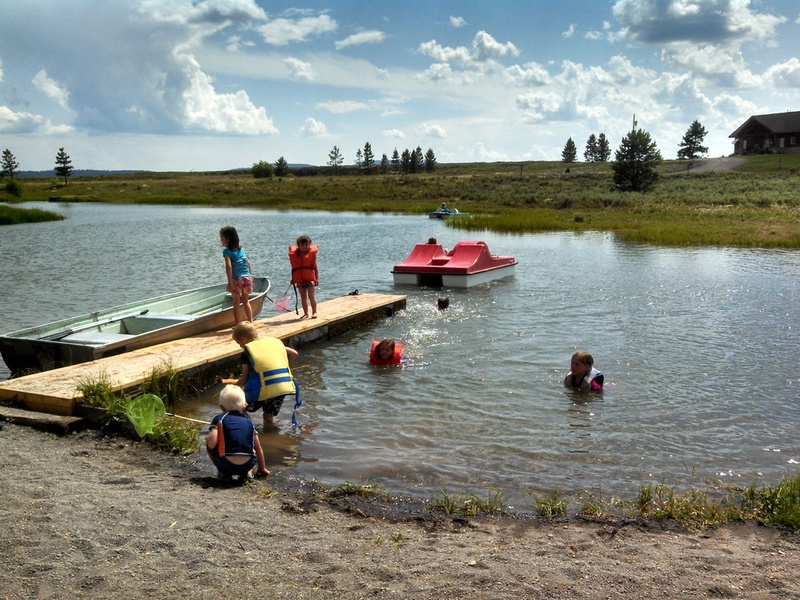 The Eagle Ridge Ranch has several paddleboats, canoes, and row boats for guests who are looking for something more to do before or after their horse ride. 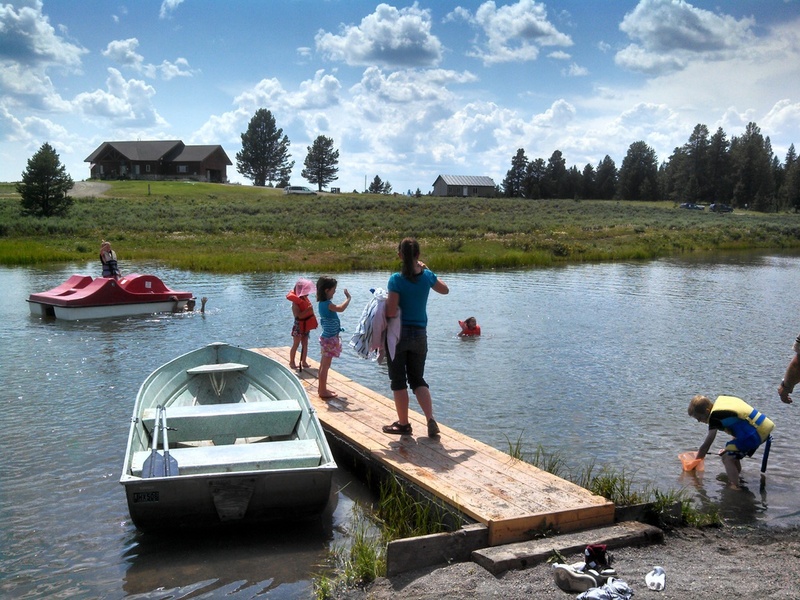 Life jackets are provided (and required) at the ranch. Bring a picnic lunch to enjoy by the lake after your horse ride, then spend the rest of the day boating or fishing on the water. There is a Subway restaurant just North of the ranch off Highway 20, or we also recommend stopping by Ernie's Deli on your way out of West Yellowstone. 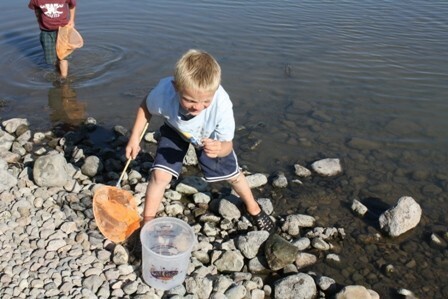 Young children (and those young at heart) will love spending part of the day catching frogs, toads, and occasionally salamanders in the streams and ponds at the Eagle Ridge Ranch. 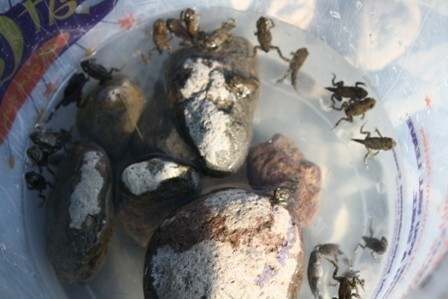 Every child should have the opportunity to catch a frog themselves at some point in their life, and the ranch is an ideal habitat for such amphibians. And yes, we have modern bathrooms with hot water to wash your hands afterwards. 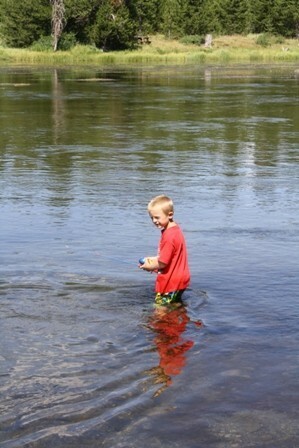 Don't forget to bring your swim suit or a pair of shorts to wade in the water! 10.00 Per bow with 4 arrows. 2 people can share a bow- the same 2 people. You can shoot as long as you want but if you lose or break an arrow they are 10.00 each. 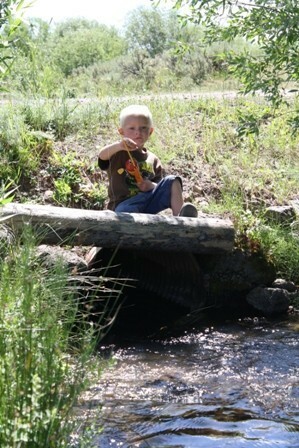 You can also bring your own bow- it is 10.00 to use Eagle Ridge Ranch's range. There are 25+ targets to shoot. $40.00 for the thrower and 100 clays. $10.00 per box of 25 shells. Additional clays are 15.00 per box of 100. You can shoot as much as you want with as many people as you want. The thrower is electric and user friendly. Archery and clay pigeon shooting are available on a first-come, first serve basis. No need to make a reservation!